Unable to text? 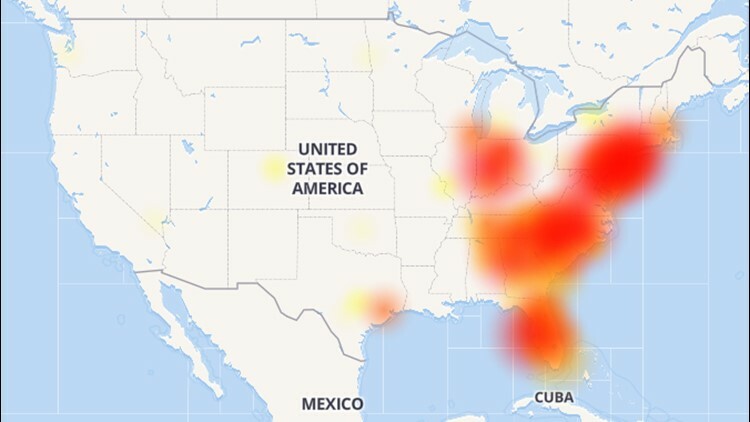 Verizon Wireless is experiencing an outage, concentrated along the East Coast. COLUMBIA, S.C. — Officials with Verizon Wireless say service is fully restored after a widespread outage that affected the east coast Tuesday morning. In a statement released by Verizon, officials said, "We experienced an issue impacting texting services for some customers this morning. Our engineers were able to identify and resolve the issue quickly. Service is now fully restored." Reports of the outage began flooding social media before 8 a.m. Tuesday. Shortly after 8 a.m., Verizon Wireless confirmed the outage on twitter.